Use this website to quickly find the most important information about the main airport in Cleveland, United States, called Cleveland Hopkins International Airport: Departures, Arrivals, Parking, Car Rentals, Hotels near the airport and other information about Cleveland Airport. 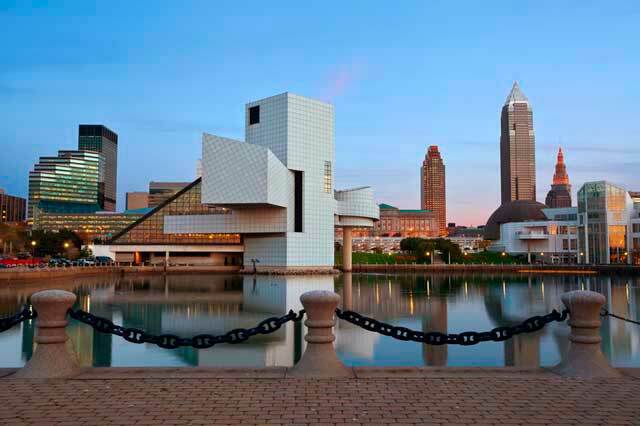 Plan your travel to CLE Airport with the information provided in this site. Cleveland Airport, officially known as Cleveland Hopkins International Airport (IATA: CLE, ICAO: KCLE, FAA LID: CLE) is located 9 miles (14 km) to the southwest business district of Cleveland, the county seat of Cuyaga County in the state of Ohio, U.S.
Cleveland Airport is the largest and busiest airport in the state of Ohio, United States. 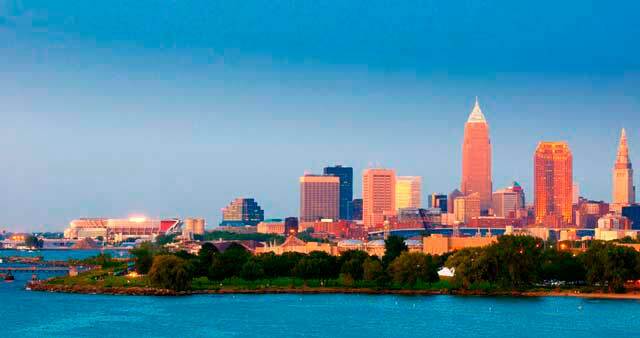 Cleveland Airport (CLE) is located 9 miles (14 km) to the southwest district of Cleveland city. The rail system or the car rental are the best options to transfer to downtown. Cleveland Airport handled more than 9,6M passengers during 2018. Cleveland Airport consists of a single passenger terminal divided in four concourses: A, B, C and D.
It is the main international airport serving Greater Cleveland and Northeast Ohio and the 43rd busiest airport in the US. Cleveland Airport is a focus city for Frontier Airlines, offering non-stop service to 54 destinations with 174 daily departures. Please note that it is the single airport in Ohio that offers non-stop flights to Europe. 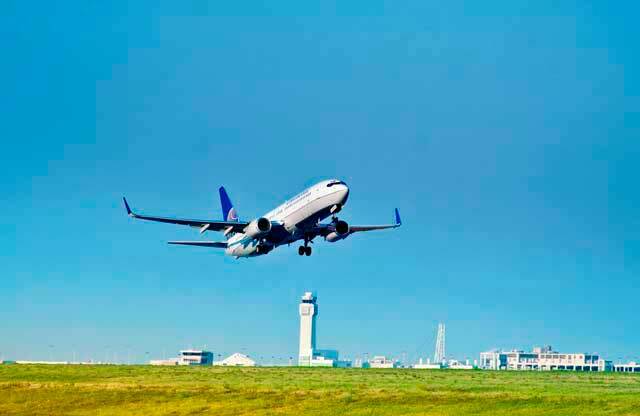 The top 5 domestic routes at Cleveland Airport are Atlanta, Chicago O'Hare, Denver, Orlando. The airport has currently 3 runways. In 2018, Cleveland Hopkins International Airport (CLE) handled 9,6 M passengers increasing the annual passenger traffic compared to 2017. The airport is a focus city for Frontier Airlines, an ultra low cost airline. Cleveland Airport (CLE) is the busiest and largest airport in the state of Ohio and it has a really importance for Frontier Airlines, an ultra low cost airline. Cleveland Airport counts with a single passenger Terminal. It’s divided in 4 concourses: A, B, C and D, although only 3 are operative. - Concourse A: Boarding gates A1-A12 and A14. It handles all the international flights. Airlines: Frontier Airlines, American Eagle, Spirit Airlines. - Concourse B: Boarding gates B1-B11. Airlines: Delta Air lInes, Delta Connection and Southwest Airlines. - Concourse C: Boarding gates C1-C29. Airlines: JetBlue, Air Canada Express and all United Airlines services (not the international arrivals, this ones are handled in Concourse A). - Concourse D: Boaridng gates D2-D28. Nowadays it is out of service. There are several companies to rent a car in Cleveland Airport. The rental car operations which used to be located off the airport have been moved to a new rental car facility. There are buses to arrive there. To rent a car, click here. 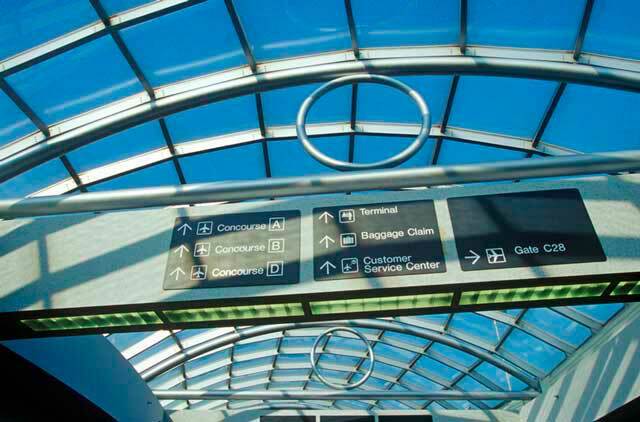 - Rail: Cleveland Airport connects with Cleveland Rapid Transit system, a light rail system in Cleveland and Cuyahoga County. The Red Line runs to and from Cleveland Airport (CLE) during the day. - Bus: During the night passengers can board bus 22 Lorain from Hopkins to Downtown Cleveland. 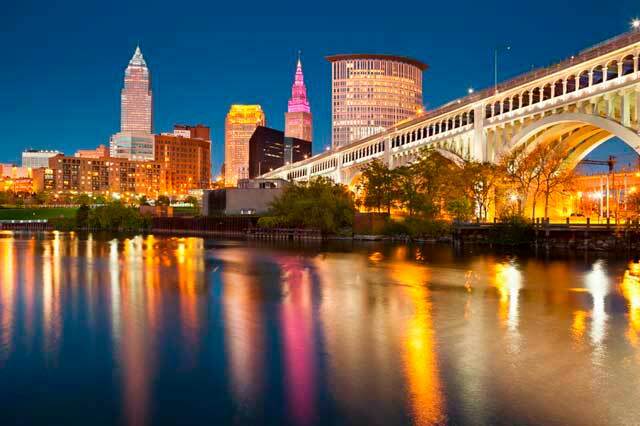 - Taxi: It is possible to get to downtown Cleveland within 20 minutes from CLE Airport. Telephone for all items: +1 216.265.6000. Service hours: From Monday to Friday, from 08:00 am to 03:00 pm.